Peace is today’s word for the Advent photo of the day. I thought long and hard, as the obvious choice for me would be to sneak into get a picture of my children sleeping. But instead I finished sorting through my email after 10 days away and poured myself a cup of tea. No one is in the office Tuesday and it is quiet. I have a little Christmas music on and I exhaled. I also put it in my favorite mug, it is my “tree of life” mug. Whenever I drink from it I am reminded that there is just as much beneath the surface of life as there is above. Peace comes from the roots. A tree could be chaotic on the outside and yet remain rooted and firm on the inside. A tree could also be blown over if the insides are not deeply rooted. And so it goes with peace. Peace comes from within, it is not the absence of chaos, it is being firmly rooted in the midst of it. 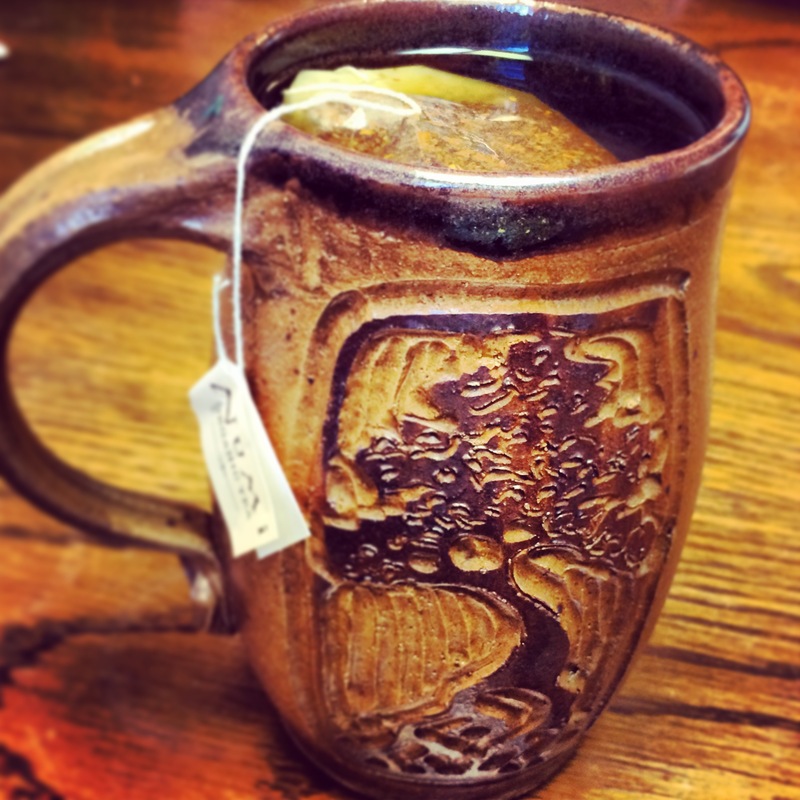 This entry was posted in Ministry, Photo of the Day and tagged mug, peace, rethinkchristmas, rethinkchurch, rooted, tree. Bookmark the permalink. Beautifully said, Shannon. And I love the picture. I am finding my own peace this morning looking out over my back yard … at the old stone farmhouse up the hill and the little cedar shake cottage in the trees near the Trail. On my desk is a stained glass Advent calendar that my sister sent me from Spain many years ago, and to my right a vase of gently wilting roses – a Thanksgiving Day gift from our youngest, Iven. They say to me, “Peace, Mother. I am stronger now, and I can give.” I am so thankful.